A good night’s sleep is the key to better health and feeling energized. 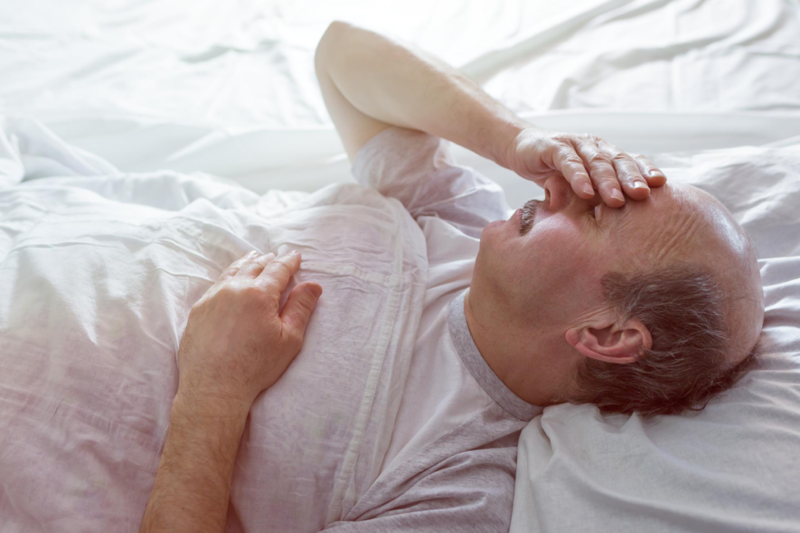 For many, sleep deprivation can lead to physical and mental health issues such as dementia, sundowning and Alzheimer’s disease. If you or a loved one are experiencing insomnia, try adding the following foods into your diet! Believe it or not, fruits that contain a high level of potassium and magnesium can help your body promote sleepiness. These elements combined can help your body relax while also calming your nervous system. Our fruit recommendations include: bananas and cherries, both of which carry these essential elements and are also a rich source of melatonin. Fruits like apples, apricots and peaches contain plenty of magnesium too! Mashed sweet potatoes and honey might sound like a weird combination, but it makes for a good bedtime treat! Sweet potatoes are a good source of complex carbohydrates, which can help increase your body’s levels of tryptophan. Tryptophan increases your body’s serotonin levels, which in turn promote good sleep. Other complex carbs you could try include whole grains like oatmeal, popcorn, or even jasmine rice. Don’t feel like you have to stick to our suggestions either! Get creative with your carbs and see what works for you and your body. Have you ever experienced a turkey coma after a hearty Thanksgiving dinner? Well, this is because lean proteins are high in tryptophan too! If you are having trouble sleeping, try snacking on some lean protein. Anything from a dab of peanut butter on a banana to an egg on whole-grain toast can do the trick. It might seem surprising, but heart-healthy fats are another good choice for nighttime eating. According to the Cleveland Clinic, “unsaturated fats will not only boost your heart health but also improve your serotonin levels.” Ensure that you get a good night’s rest by snacking on some nuts or even an avocado before bed! If a warm glass of milk helped you sleep as a child, there’s no reason that it wouldn’t work now! Milk, like many other dairy products, contain tryptophan and calcium which helps regulate the production of melatonin in your body. If you are lactose intolerant, try decaffeinated herbal teas such as chamomile or peppermint. We hope these tips worked for you! Let us know if there’s a sleep inducing food you think we forgot to include. At Skilled Therapies, our mission is to help seniors effectively improve their quality of life. For more information or assistance on topics like this, feel free to contact us at 925.271.9100 or drop by one of our 6 convenient locations today.